Can a servo cable be optimized for a long life at 5g? As machine tools get faster and faster, there’s a growing need for high-acceleration servo systems. These servo systems obviously require more robust motors and mechanical components. What’s less obvious is that they also need power and signal cables that have been designed to withstand acceleration-related stresses. 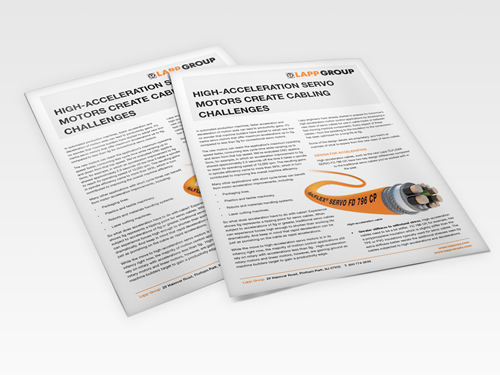 Download our technical whitepaper to learn more about aspects of a cable that need special attention when used in cable tracks or between fast-moving machine components.